Located in the Northwest of Spain, AIMEN Technology Centre is a highly professionalized organisation with over 220 employees specialised in Materials Science, Process Engineering, Automation, and Laser Processing. AIMEN is a non-profit private research association with more than 100 industrial members, established to increase the technological competence in the manufacturing industry, through the following activities: (i) R&D+i projects, (ii) Monitoring technology evolution, (iii) Acquire and develop emergent technologies, (iv) Promote technology innovation in the companies. Around 2/3 of all projects are in direct collaboration with the industry and around 1/3 of projects have the objective to search medium-long term industrial applicability. AIMEN participates in numerous regional, national R&D&i projects, and has an increasing presence in international research activities in photonics. AIMEN will act as project coordinator, as well as providing intensive research support to the development of the core technology of the project, particularly the scanner-based wafer-scale nanomanufacturing, including laser beam steering optics, system control and synchronization, and sample handling system. High power ultrafast laser systems available at the AMEN Laser Applications Centre, together with robust optomechanical workbench and advanced nanopositioning systems, will allow testing the current upper limits of beam parallelization and productivity on full waver size scales. 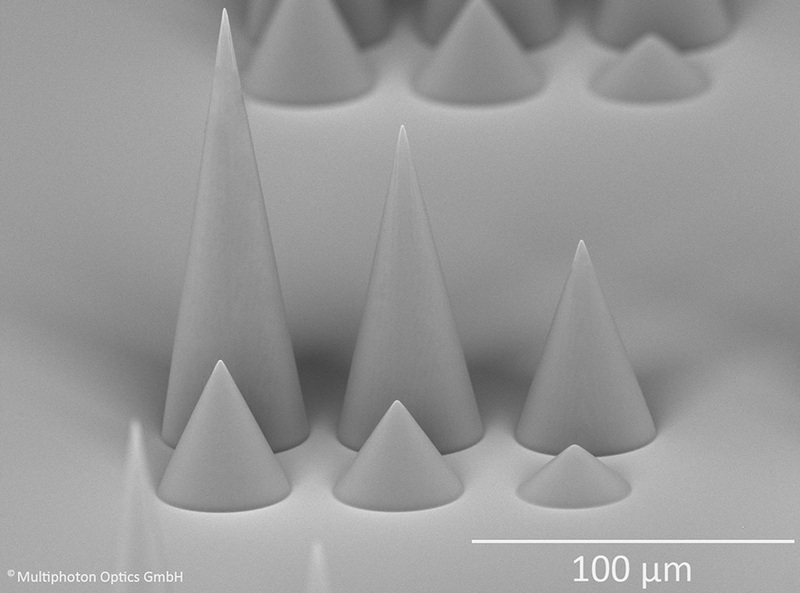 AIMEN will test, produce, characterize and optimize a range of nanostructures using optical, electron and confocal microscopy, spectroscopy and optical interferometry. Thales is a world leader for mission critical information systems, with activities in three core businesses: aerospace (with all major aircraft manufacturers as customers), defence, and security (including ground transportation solutions). It employs 68000 people worldwide (50 countries). It provides its customers with all the key functions in the critical information loop, from detection and processing to transmission and distribution. Thales develops its strategic capabilities in component, software and system engineering and architectures through its R&T organisation. Thales SA is involved in this project through its corporate research center, Thales Research & Technology - France (THALES). Thales Research & Technology-France (THALES), located in Palaiseau near Paris, is the main multidisciplinary research unit of the Thales group, one of the major world players in aerospace, space, defence, and security. Through its internal activities and scientific links with industries and universities, either in France or internationally, THALES is participating in the preparation of Thales industrial future in strategic R&D fields. The Chemistry Laboratory (ENSL) is a joint unit operated by the CNRS, the Ecole Normale Supérieure of Lyon and Université Lyon 1. 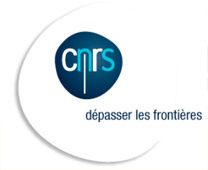 Its staff includes 33 permanent researcher (CNRS) and teaching reseachers (ENS Lyon), 10 non permanent researchers, and 13 technical, and administrative research support. The Chemistry Laboratory spans a range of specialities in chemistry and physical chemistry. It develops interdisciplinary research projects at the frontiers with material sciences, physics, and biology. The research topics cover a wide spectrum of expertises in experimental chemistry (organic, inorganic and materials synthesis) together with characterization, modeling, and societal applications. The last five years 34 PhD students, and 45 post-docs did their research at Chemistry Laboratory. The typical annual scientific production is 150 publications, 40 invited lectures in international conferences, and 4 patents. Multiphoton Optics GmbH (MPO) is a spin-off from Fraunhofer ISC with focus of activities on B2B business on High Precision 3D Printing. Customized equipment allowing processing of a broad range of materials are used to create 3D structures such as in ORMOCER® materials (a highly stable organic-inorganic compound that is commercially available and used in industry), photosensitive polymers, glasses as well as in metals. MPO's business is mainly directed towards selling customized High Precision 3D Printers LithoProf3D® (production of the hardware platform is out-sourced to Heidelberger Druckmaschinen AG). Part of the works is dedicated to process development and prototyping to support customer’s product developments with MPO’s equipment with strong emphasis on the implementation of customer’s requirements into the software used for creating sophisticated fabrication codes. 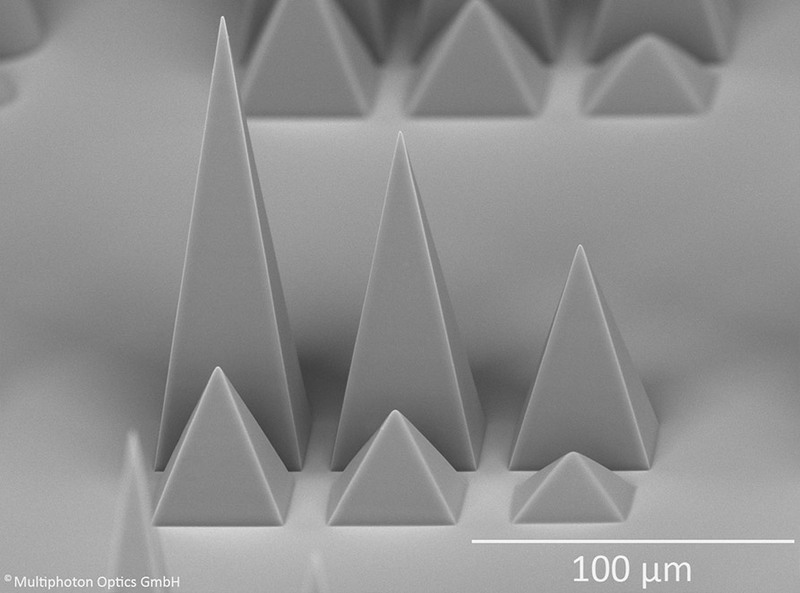 MPO’s High Precision 3D Printing Platform LithoProf3D® is particularly suited for implementing optical links between discrete and integrated photonic components, for the high-throughput fabrication of µ-optics, the fabrication of masters and masks of any arrangement of structures, and the fabrication of structures to be used in medical applications. Multiphoton Optics is open to any kind of cooperation and partnership driving the technology forward in terms of sophisticated and challenging approaches. ICFO - The Institute of Photonic Sciences (www.icfo.eu) is a research centre located in a specially designed, 14.000 m2-building situated in the Mediterranean Technology Park in the metropolitan area of Barcelona. It currently hosts more than 300 researchers, including research group leaders, post-doctoral researchers, PhD students, research engineers, and staff, organized in 26 research groups working in 60 state-of-the-art research laboratories, equipped with the latest experimental facilities and supported by a range of cutting-edge facilities for nanofabrication, characterization, imaging and engineering. ICFOnians have been awarded 15 ICREA Professorships, 26 European Research Council grants and 6 Fundació Cellex Barcelona Nest Fellowships, and the institute consistently appears in top worldwide positions in international rankings measuring research excellence. On the industrial side, ICFO participates actively in the European Technological Platform Photonics21 and is also very proactive in fostering entrepreneurial activities and spin-off creation. The center participates in incubator activities and seeks to attract venture capital investment. ICFO hosts an active Corporate Liaison Program that aims at creating collaborations and links between industry and ICFO researchers. To date, ICFO has helped create 6 start-up companies. 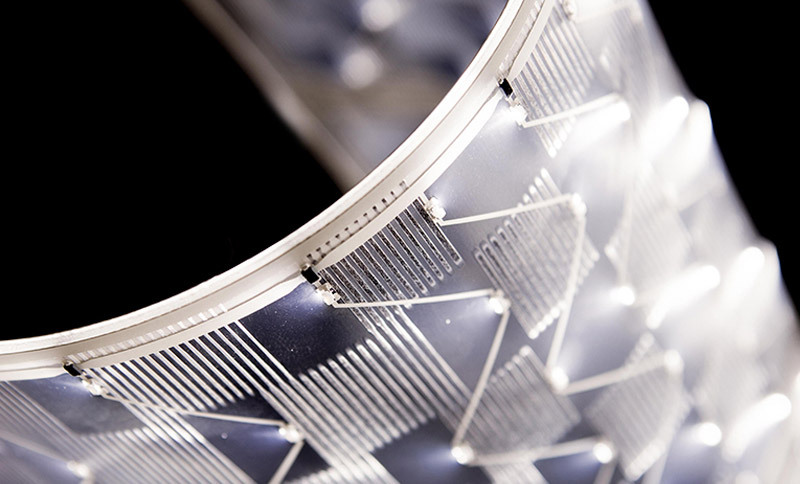 Fluxim AG is an SME dedicated to providing R&D tools for the organic electronics industry, more specifically the OLED display, lighting and photovoltaics industry. Fluxim provides 3 complementary products: Setfos, Paios and Laoss. The software SETFOS simulates light-outcoupling from OLEDs, light-absorption in solar cells as well as charge transport and recombination and scattering efficiency enhancement structures in these semiconductor devices. Fluxim’s PAIOS all-in-one measurement platform with software for parameter extraction and model validation is used to characterize OLED and PV R&D devices and integrated with the Setfos software. The Laoss software models the effect of large area and shape effects in OLEDs and solar cells. FLU’s expertise in physical modelling, numerical methods, software engineering and measurement techniques has led to an international business model in these key growth industries. IMT Atlantique is a graduate engineering school and research centre in the field of information technology, energy and the environment – a leading French “Grande Ecole”. 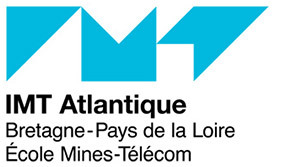 It is a public institution, under the aegis of the French Ministry for Industry and is a member of the Institut Mines-Telecom (a grouping of 12 elite graduate schools) and the Université Européenne de Bretagne. Close to 500 permanent research, teaching and support staff work at the IMT Atlantique and about 730 students graduate each year including 80 PhDs. The main R&D activities of IMT Atlantique Optics Department are in optical telecommunications, liquid crystal device engineering, diffractive optics and 3D vision. The department possesses extensive technological facilities (in-house cleanrooms) with over twenty years experience in the modelling, design, fabrication and applications of diffractive micro-optics and liquid crystal devices. In consequence, the department enjoys very strong industrial links with a wide range of French and international companies, including long term research agreements/contracts, and participates continuously in European, National and Regional projects. CDA is one of the leading manufacturer for customized refractive and diffractive polymer micro-optics. Their services include optical design, rapid prototyping, volume manufacturing and assembly of illumination modules. 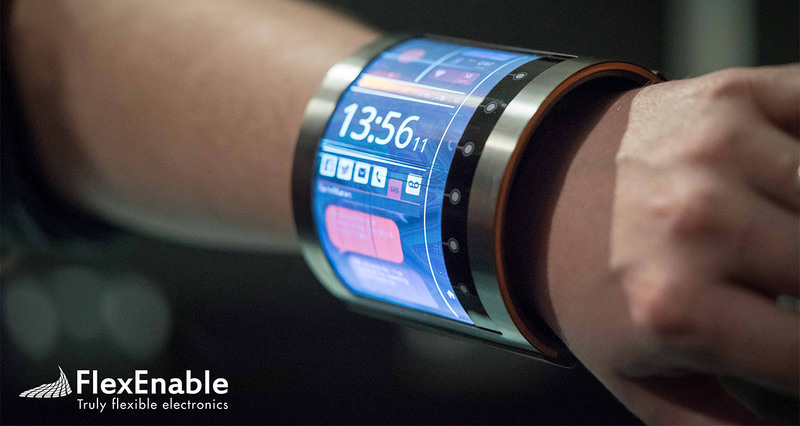 Markets they serve are automotive, consumer electronics, machine vision, virtual reality (VR), augmented reality (AR,) life-science, gesture and 3D sensing applications. Founded in 1994 originally as a manufacturer for optical storage media, CDA has more than 20 years of experience in structuring polymers, and uses these technologies now for high-volume production of complex microstructures down to the sub-µm range. The product portfolio for optics ranges from DOEs, gratings, microlens arrays, diffusors, Fresnel lenses, collimation lenses and beam shapers. By the integration of various functionalities and the assembly of complex sub-modules, they provide unique customized solutions according to their motto “We inspire and manufacture value”. Public enterprise, linked to the Spanish Ministry of Economy, constituted according to the Spanish legislation as the manufacturer and supplier of official products for top security. FNMT is a world player in production of security paper and other security substrates and materials for document certification and products for document integrity and validation. FNMT is the Spanish National Mint (manufacturer of coins and banknotes for the Central European Bank) and works as coin and banknote manufacturer for outer markets including South America, Asia, etc…, as well as digital security products, certificates, stamps, and personal identification documents which incorporate an increasing number of security features, both physical and electronic. 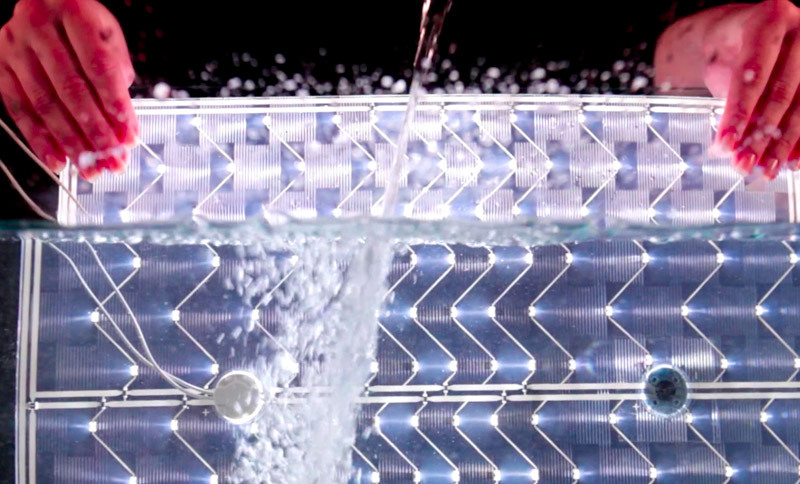 Design LED is a technology SME located near Edinburgh, Scotland in the UK and formed in 2004. The company designs and has manufactured LED lighting products using their light-guide/LED technology patent portfolio. 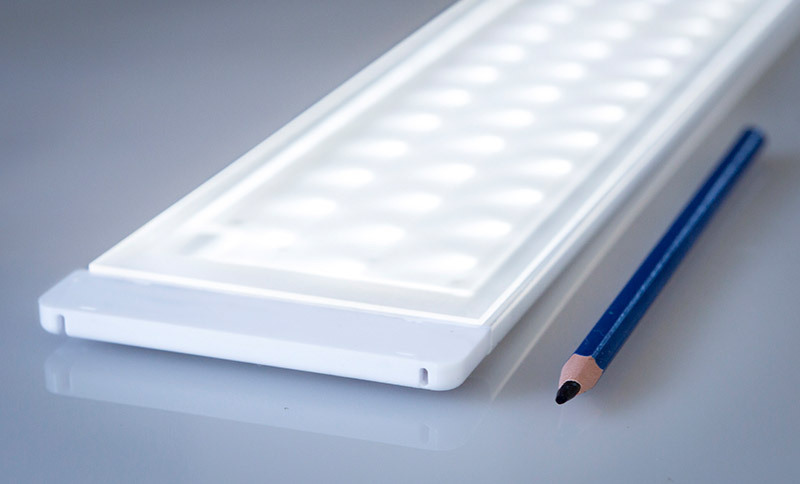 Design LED has received investment from Siemens, OSRAM and IKEA, the latter providing a significant route to exploiting the Home lighting market. Design LED is actively engaged in other markets, such as interior lighting in Automotive. 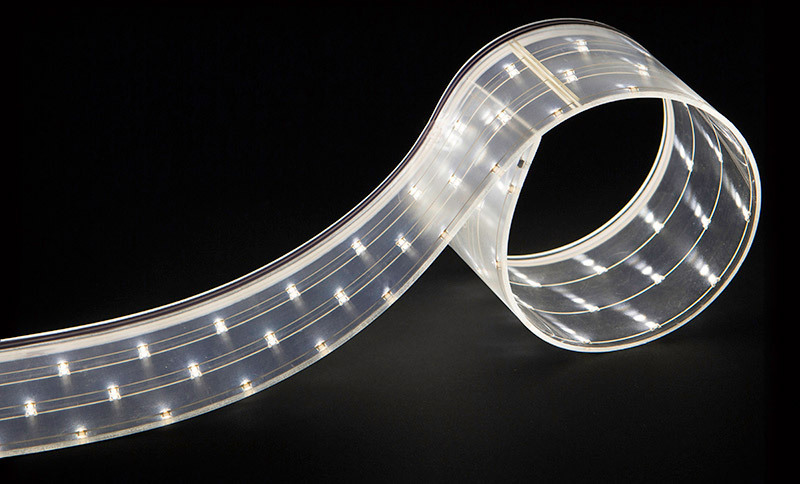 The company’s existing products embed LEDs inside a flexible light-guide, with integrated micro-optics for light extraction, beam shaping and focussing. 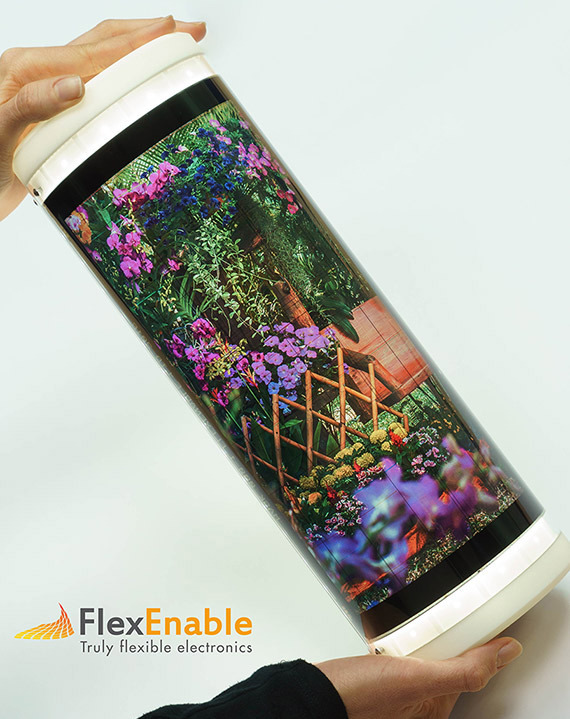 The resulting structure has significant technical and commercial advantages over OLED technologies, is mechanically flexible and can be produced in large areas, at significantly lower cost. The objectives of this project align with DesignLED’s innovation roadmap. 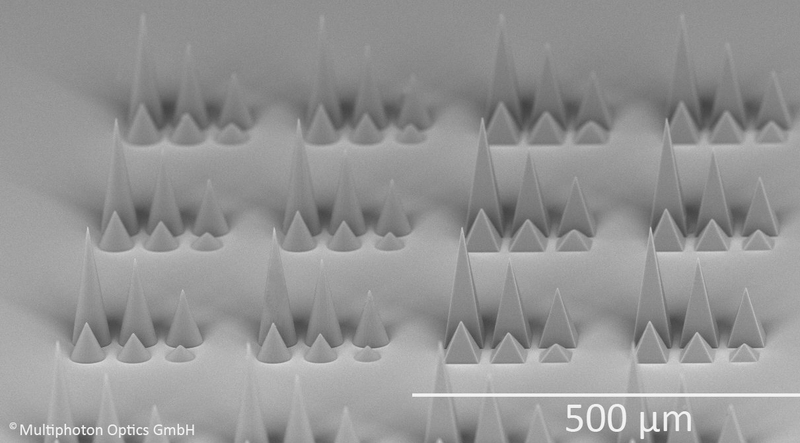 The type of 3D opto-structuring proposed in the PHENOmenon project, with sub-micron and nano-scale optics optimising light extraction, may provide potential the performance gains to enable DesignLED to meet or exceed the expectations of future product generations.